It's Monday and we're alive! To celebrate, we're starting a fun new feature that will show up every once in awhile called "Take My Money Monday." It's a roundup of all the trendy things we're excited about buying for the new season. 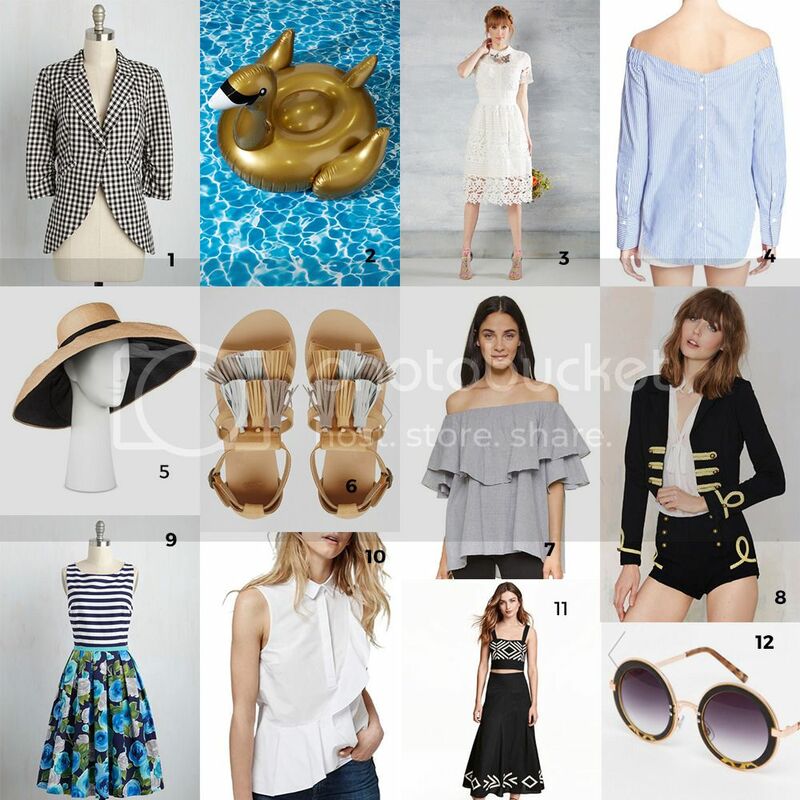 We toyed with "Friday Favs" or "Wishlist Wednesday," but, let's get real, we're just asking our favorite retailers to just take our money anyway. And, who doesn't need to dream a little on a Monday, after all? We've even linked all of our picks below, so you can snag some Monday merch for yourself. Now, without further ado, we bring you our first installment of TMMM. This spring I'm all about useful basics with a super whimsical twist. From classic denim shorts with a scalloped edge, to neutral gladiator sandals that happen to also be gold glitter jelly shoes, I'm all about showing off the playful side of style when it gets warm out. 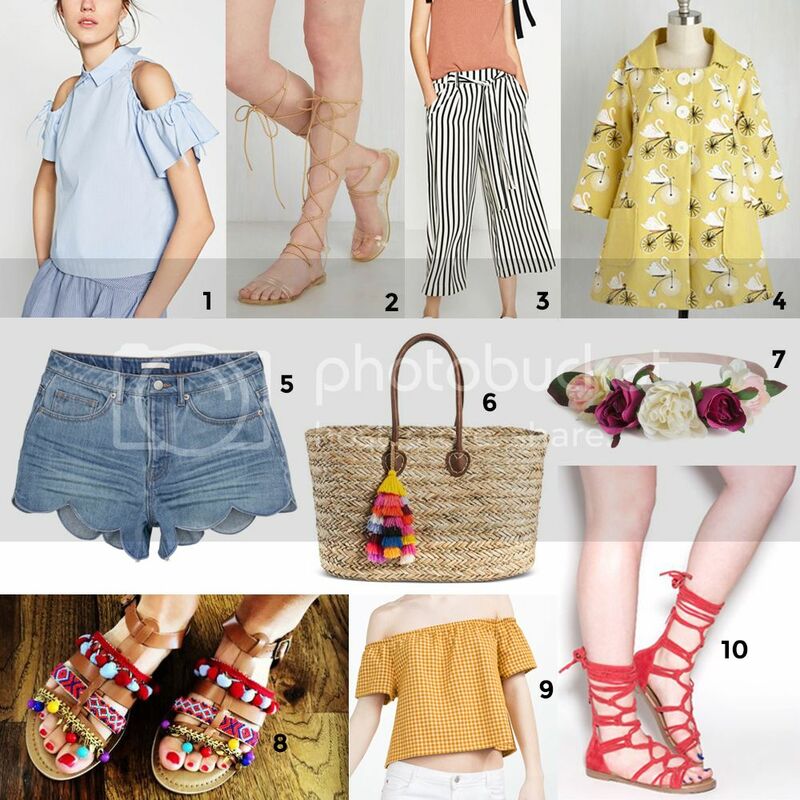 You'll see some of our favorite spring trends here from cold shoulder and off the shoulder styles, to vertical stripes, gladiator sandals and a hyper romantic giant flower crown. I may or may not have given my money to some of these already (cough, gladiator sandals and denim shorts). Holy moly, do I look forward to a new spring and summer wardrobe. Between new sandals, sun hats, off the shoulder tops, gingham everything and dresses, there are so many things I want to buy right now. It helps to put it all in one place, so I can drool properly. I even threw in this sweet gold swan pool float because a proper wish list just isn't complete without at least one toy. What are you currently obsessing over?